Marsannay begins the Côte d'Or of Burgundy on its northern end. Known for many, many years for its rosé, it has been largely overlooked otherwise. It missed out on the 1936 Burgundy classification, but it finally received recognition in 1987 for all three colors of wine. Today, despite the sharp rise in quality production and the further delineation of vineyards, there are still no Premiers Crus, and a good portion of the surface area is classified as Bourgogne rather than village. The first appeal for re-classifications was submitted in 2002, and a second one was submitted in 2005. Alas, the dossier was entirely ignored. By the time INAO looked at the proposal in 2011, updates were required. The tenacious, energetic and visionary producers of Marsannay did so and are still waiting to hear back from INAO…and making increasingly exciting wines with each passing vintage. 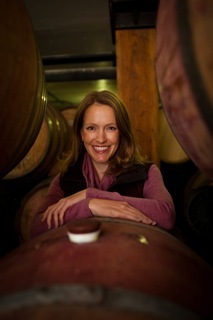 Christy Canterbury is one of twenty-nine US Masters of Wine. She is a journalist, public speaker and judge based in Manhattan. Christy’s articles have been published in Decanter, Wine Enthusiast, Food Arts, Sommelier Journal, Beverage Media, TASTED and on Snooth, TimAtkin.com and several other blogs, including her own. Christy is the Consulting Editor of the recently released book, Rock & Vine, and the Italy Editor for the Professional Wine Reference. Her recent public speaking appearances include VinExpo, the European Wine Bloggers’ Conference, the Hong Kong Interntional Wine & Spirits Fair, the Women in Wine Leadership Symposium and TEXSOM. Prior to going independent, Christy was the Global Beverage Director for Culinary Concepts by Jean-Georges Vongerichten and the National Wine Director for Smith & Wollensky Restaurant Group. In retail, she sourced wines from within and outside Italy for Italian Wine Merchants. Interested in mastering Bourgogne wines? Sign up for the Bourgogne Master-Level program.